I completed my undergraduate and postgraduate training in social psychology at the Australian National University. 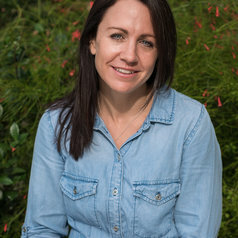 I was a Research Associate at the ARC Centre of Excellence in Policing and Security (ANU) before moving to Murdoch University in 2010 to take up a teaching and research position in the School of Psychology. I was an ARC Discovery Early Career Researcher Awardee between 2012-2015. In May 2017 I moved to Flinders University to take up a position as Associate Professor in the School of Psychology. I am an Associate Editor at the British Journal of Social Psychology. I am a social and political psychologist and her research explores the ways that people come together to resist social inequality and social injustice. My published work explores the psychological drivers of commitment to humanitarian assistance, and the role of emotion, and personal and collective identity, in facilitating different forms of social protest. My work has been funded by the Australian Research Council, the US Spencer Foundation and I am an active participant in the Young and Well: Co-operative Research Centre (CRC-YAW).